Sam joined the Centre in September 2016. 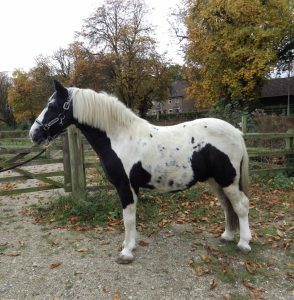 He is 14.1 hh and was born in 2003. 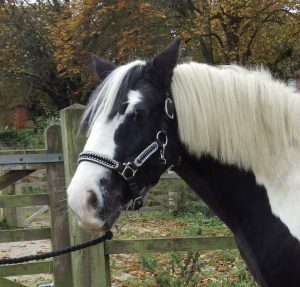 He is a piebald cob. He seems to have settled into work at the Centre well, and is firm friends with Conker.